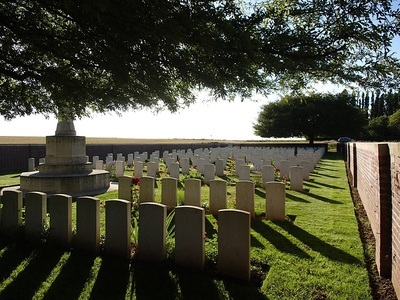 Beugny is a village 5 kilometres north-east of Bapaume on the N30, Bapaume to Cambrai road. 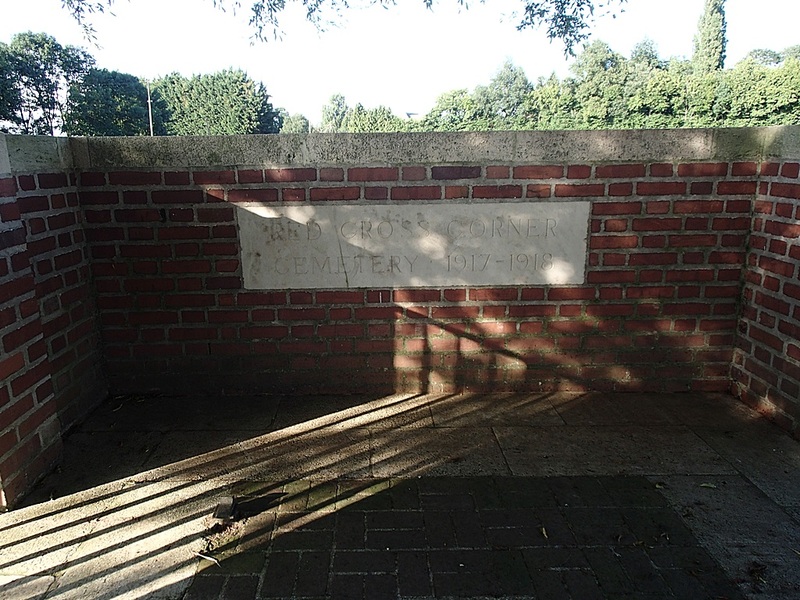 Red Cross Corner Cemetery is on the west side of the village to the south side of the N30. 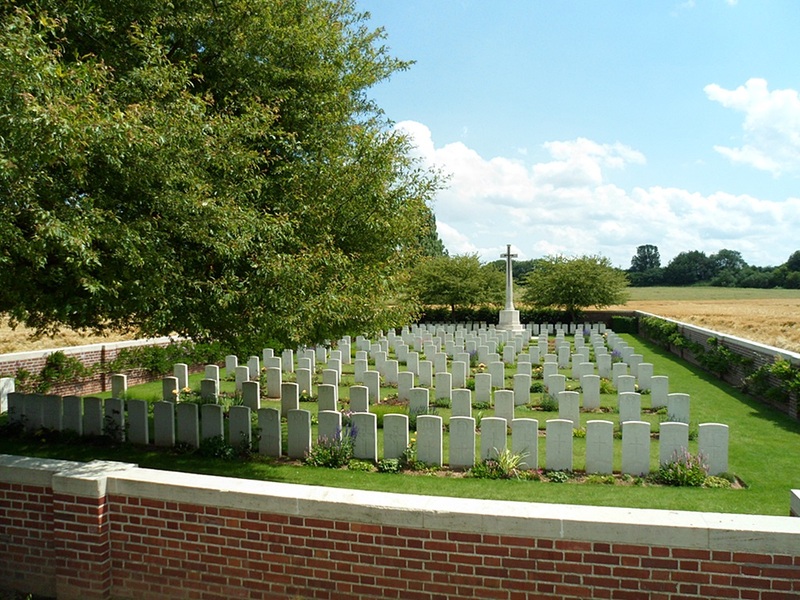 CWGC signs on the N30 indicate the Cemetery. 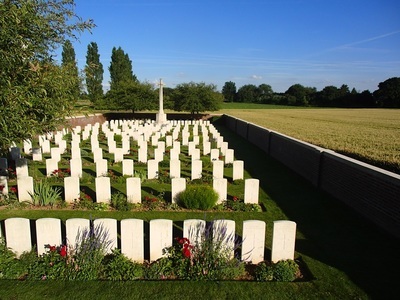 Plot I of the cemetery (except Row K) was made between April 1917 and March 1918 by field ambulances and fighting units. When the cemetery fell into German hands in March 1918, they added the 25 Commonwealth burials that make up Row K (all from 21 March 1918) and began another cemetery alongside (Beugny Military Cemetery No.3). Commonwealth forces retook the cemetery in September 1918 and added Plot II to the original burials. 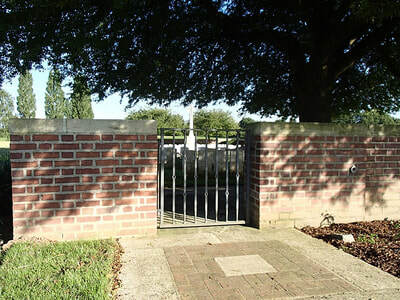 The German graves were removed after the Armistice, and the Commonwealth burials among them were transferred partly to Delsaux Farm Cemetery and partly to Favreuil British Cemetery. 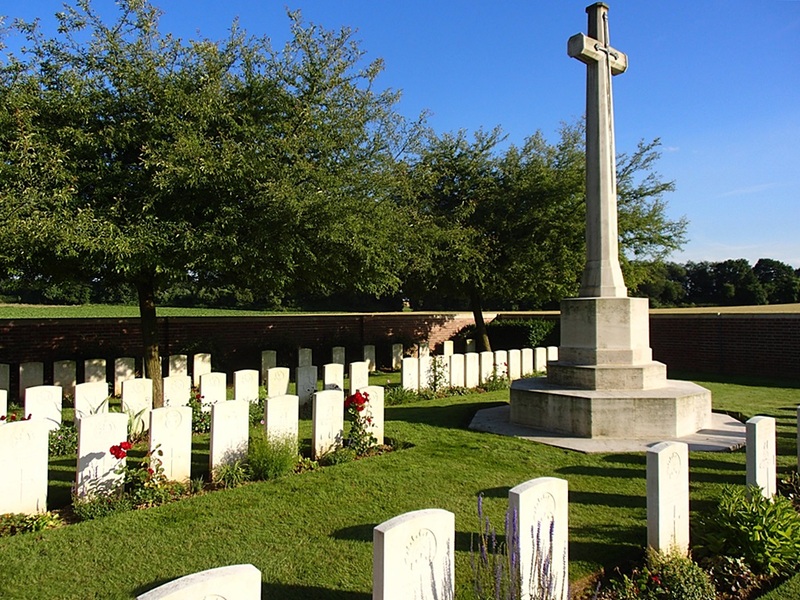 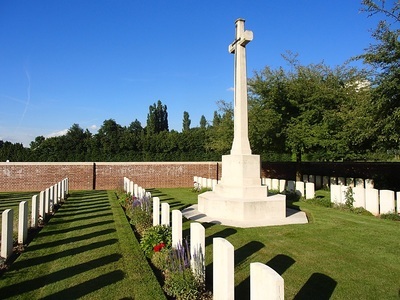 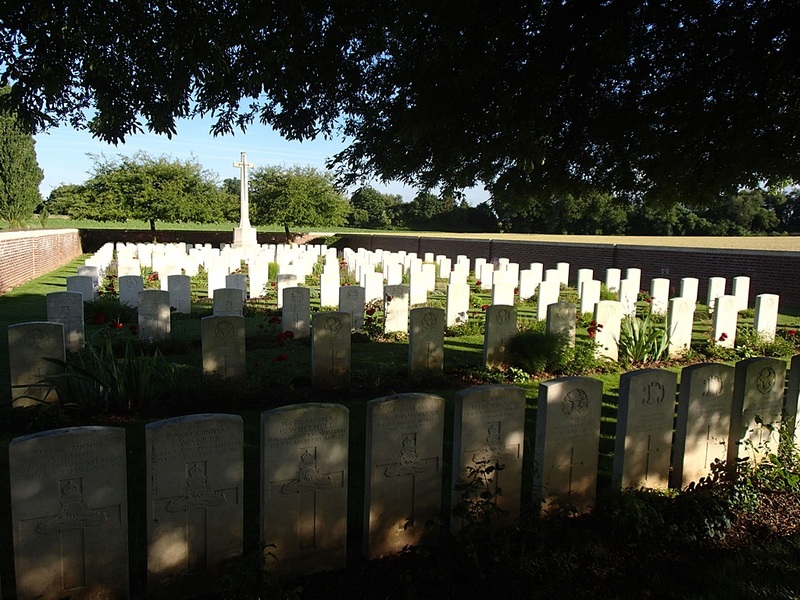 Red Cross Corner Cemetery now contains 219 Commonwealth burials and commemorations of the First World War. 12 of the burials are unidentified and one casualty whose grave was destroyed by shell fire in 1918 is commemorated by a special memorial. Casualty Details: UK 205, Australia 10, South Africa 4, Germany 1, Total Burials: 220.